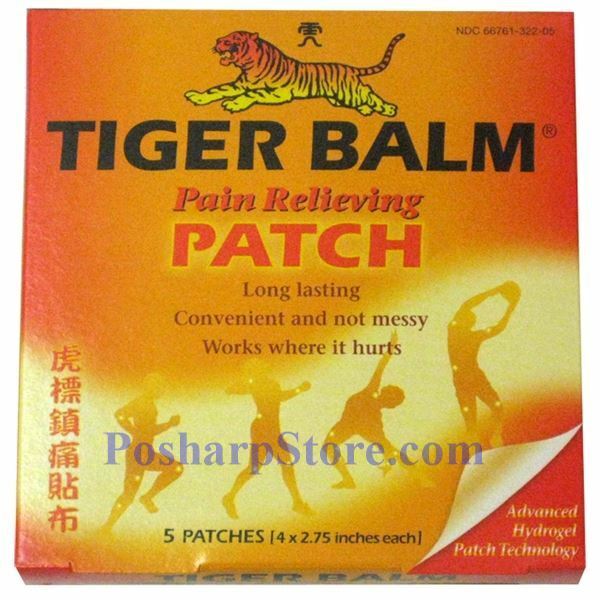 Tiger Balm Pain Relieving Plaster is a flexible pain relieving patch. 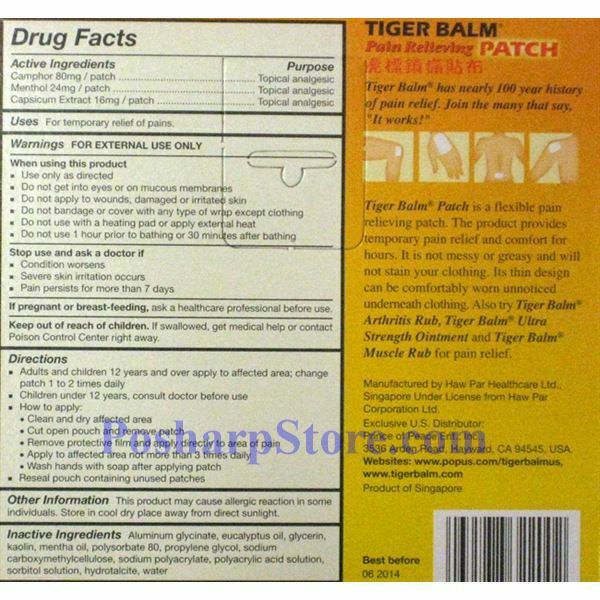 The product provides temporary pain relief and comfort for hours. It is not messy or greasy and will not stain your clothing. Its thin design can be comfortably worn unnoticed underneath clothing. Tiger Balm has nearly 100 year history of pain relief. Joint the community who says "It works". Ingredients: Camphor, Menthol, Capsicum Extract, Eucalyptus Oil, Glycerin Mentha Oil, Polyacrylic Acid, Polysorbate 80, Sodium Carboxymethylcellulose, Sodium Polyacrylate, Sodium Monooleate, Sorbitol, Tartaric Acid, Water.